Lapo Elkann warned that the intentions of tech companies such as Google and Apple in the industry are unpredictable. MUNICH -- Some car brands will disappear as the auto industry forms more partnerships in a bid to adapt to a digital future, Fiat Chrysler Automobiles shareholder Lapo Elkann said. 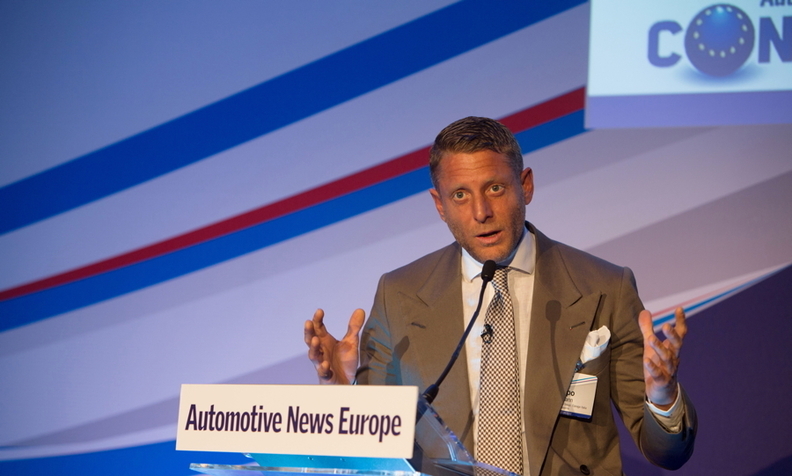 "I believe that there will be fewer brands," he told the Automotive News Europe Congress here today. "Brands will unite and more brands will work hand in hand." Elkann also warned that current predictions of how new technology entrants such as Google and Apple will approach the industry might be incorrect. "Their level of cash flows are so high we don’t know what they’re going to do," he said. Elkann left Fiat, which was co-founded by his great-great-grandfather Giovanni Agnelli, in 2006. He returned to the auto industry last year with Garage Italia Customs, a Milan-based company that specializes in custom bodywork, paint and upholstery. He remains a shareholder of FCA and recently joined Ferrari's board. He told the congress that customization was a 597 billion euro ($679 billion) industry. Cars accounted for 93 billion euros of that and has expanded at a rapid rate, he said. "The personalization industry has grown far more than the expectations of the car builders," he said. Customization at Garage Italia starts at about 4,000 to 5,000 euros for a wrap for the Fiat 500 minicar, but the company also can personalize boats, planes and helicopters, he said. Elkann plans to expand the company from Italy into the U.S. next year, with China following in 2017-2018 and the Middle East in 2018. Elkann said he learned understand the desire to personalize cars from his experience helping launch the first generation of the new Fiat 500, a car that he said "democratized personalization."